A seven-branched menorah symbolizes Jewish Temple tradition. The nine-branched Hanukkah menorah is lit during the eight-day holiday of Hanukkah. A new branch is lit on each night of Hanukkah. In the ancient story, when the Maccabean revolt led to the restoration of the Temple, there was only enough oil to light the lamp for a night. But in miraculous fashion, each evening enough oil remained for another night. And then another, and finally enough oil for eight nights. 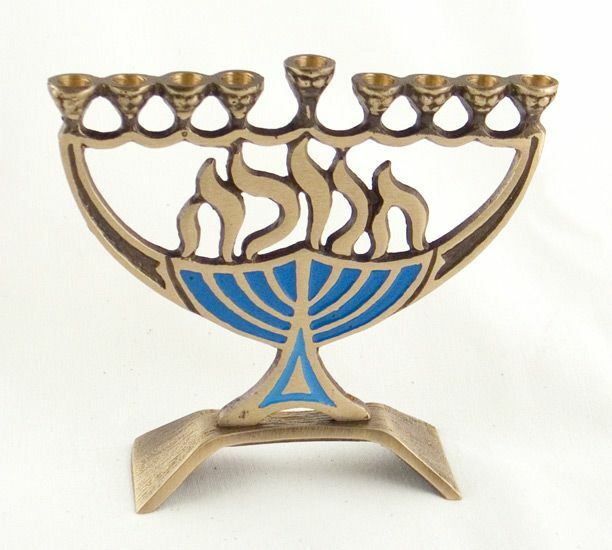 The ninth holder on the Hanukkah menorah is the shamash, the “helper” or “servant.” This is the light used to light the other candles. When are you the shamash? When do you bring light to others in their darkness? When do others turn to you for help? Who is your shamash, your helper? Let us strive to remember our shamash, to be thankful for our helpers. Let us strive to be the light in a dark world. This entry was posted in culture, Faith, Uncategorized and tagged Hanukkah, Hanukkah menorah, helping others, Maccabean revolt, shamash. Bookmark the permalink.